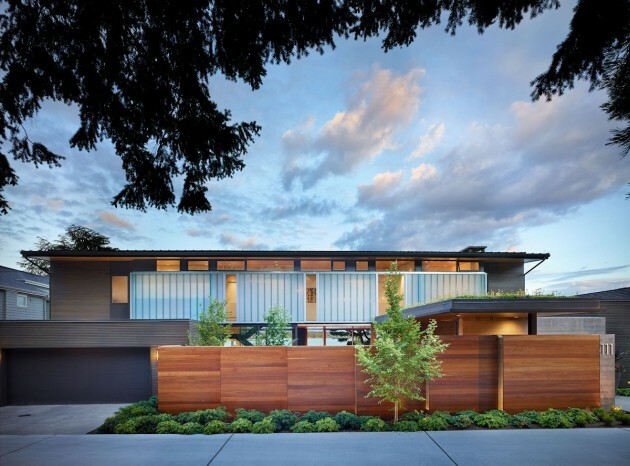 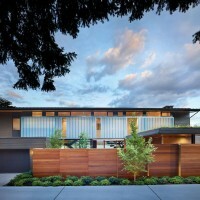 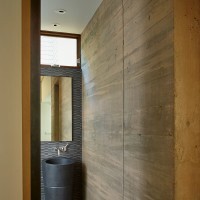 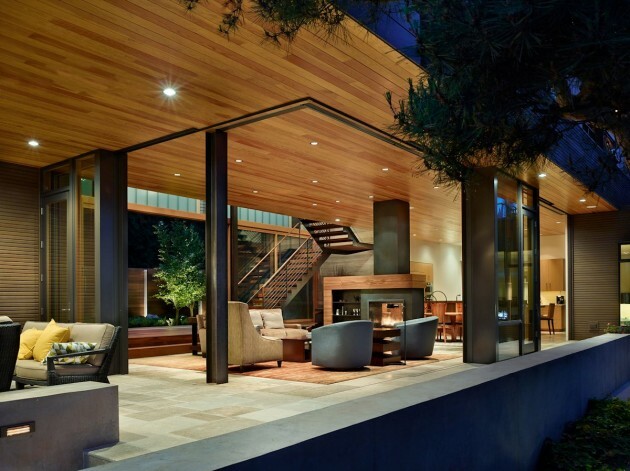 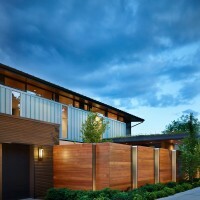 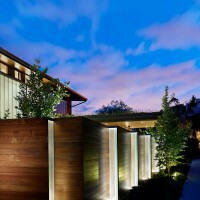 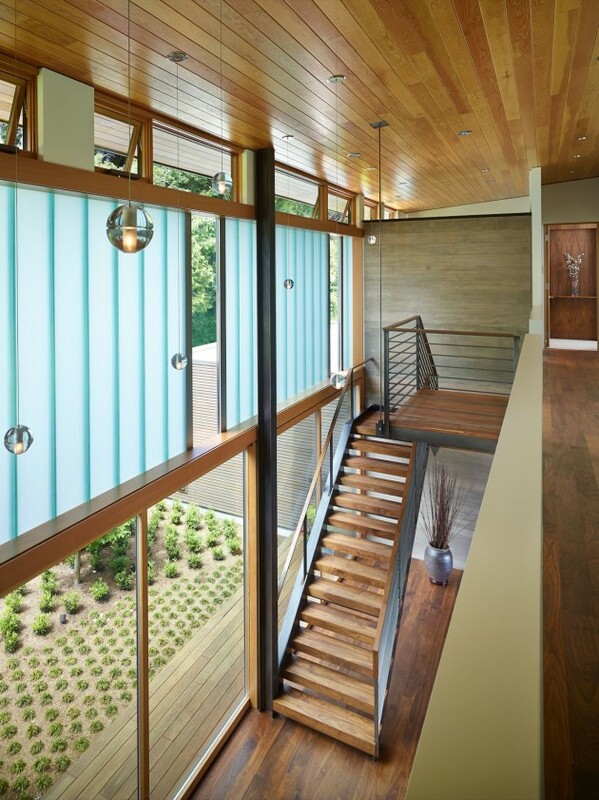 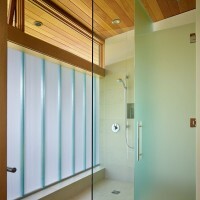 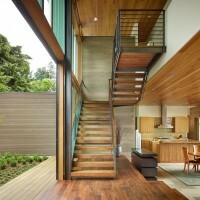 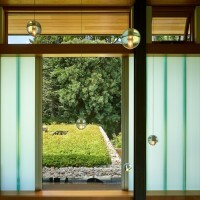 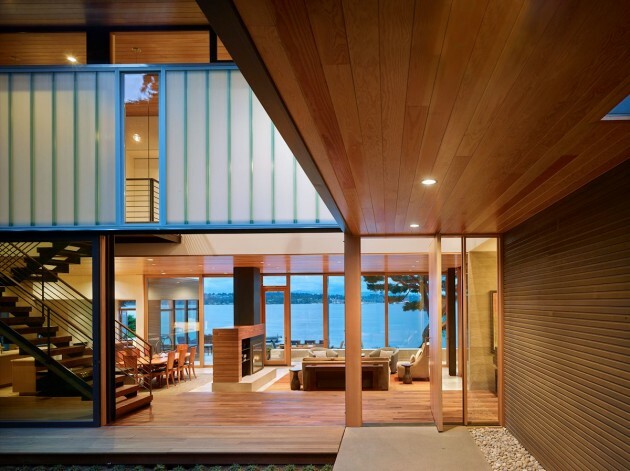 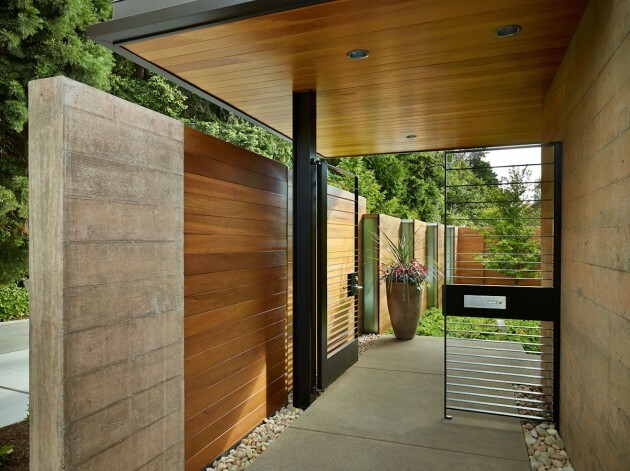 DeForest Architects have designed the Courtyard House in Seattle, Washington. 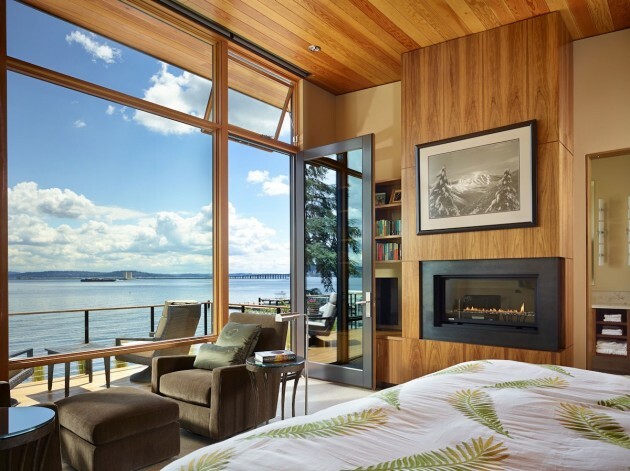 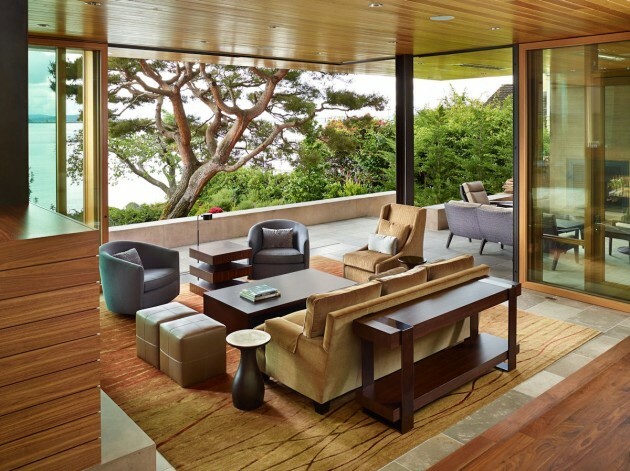 The owners of this waterfront home asked DeForest Architects to design a welcoming modern home with a seamless connection between indoors and out, a warm and elegant material palette, and “a view of Mount Rainier at our feet.” Squeezed between a narrow private lane and the lake, the main challenge was to create a sense of privacy and retreat while making the most of expansive views. 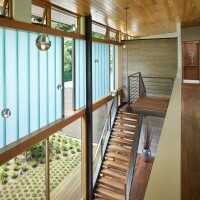 At the upper level, a band of channel glass running the length of the house affords privacy while admitting natural light and providing glimpses of the courtyard and a green roof. 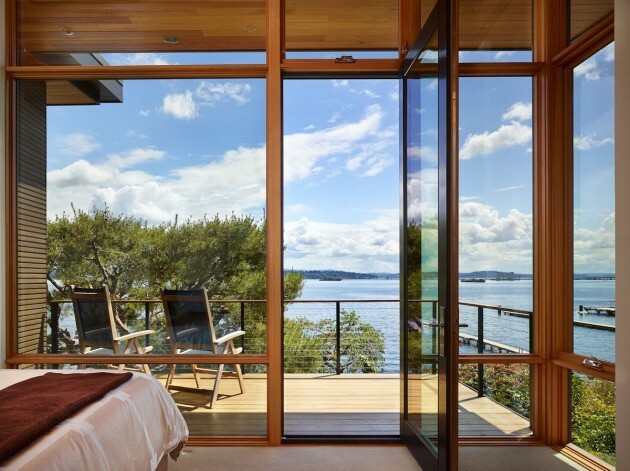 Each of the four bedrooms has a view of the lake and private deck and the guest bath and laundry are daylit by floor-to-ceiling channel glass.